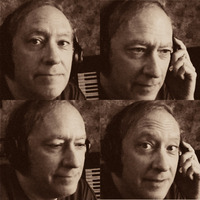 Graphic artist and illustrator Christopher (C. G.) Gross began releasing electronic music on Utility Recording (then a cassette label) in 1980 and received airplay in the United States, Canada, and Europe. Utility went on hiatus in the mid-1990s, but Gross continued to produce music and to collaborate with other musicians. Utility Recording returned in 2009 with the release of Gross' online mini-album "Archangel" and the CD "TRADEMARK PROJECT: Voltage". His most recent releases are the ambient/space album "Eclipse" and the H. P. Lovecraft-inspired "Mythos".